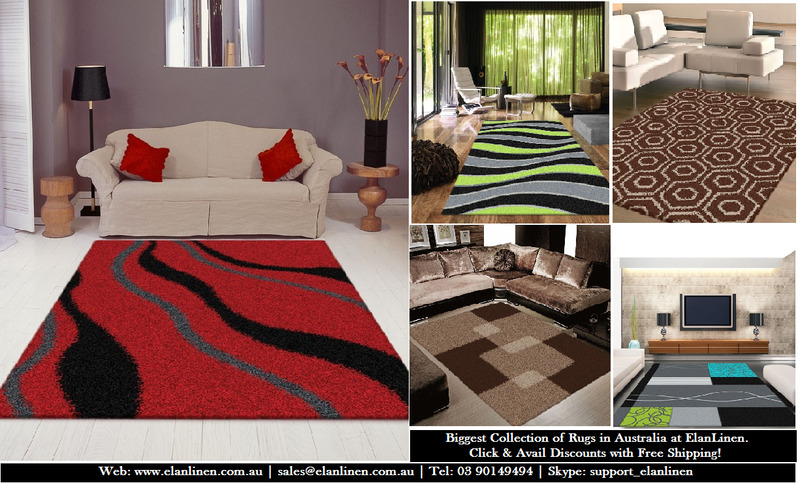 Following are the 10 Best Rug designs sell online in 2015 repeatedly at Elan Linen. The hot favorite brands are Rug Republic, Xavier & Me, Veeraa and Saray Rugs. You can enjoy free shipping over 99$ and Elan Linen offers you guarantee lowest prices as compare to other suppliers. This brand new classic and traditional collection is both highly affordable and very decorative. It has a fine texture with subtle colours, applied to well chosen timeless designs. These machine-knotted rugs also won’t shed and are very easy to maintain. This contemporary collection consists of both Floral and Abstract designs. These attractive designs are available in a variety of 4-5 colours each. Imperial Carving rugs have a thick and dense pile with hand carved patterns, and are both durable and easy to maintain with their non-shedding pile and anti-static properties. Chevron Rug range by Rug Republic features svelte geometric design in beautiful colour combination. Made from premium 100% Cotton, Hand tufted, Two centimeter pile creates plush looks and softness. Backed with cotton to enhance the durability Choose from a range of sizes and colours to accent your space. This authentic looking collection also consists of both Persian traditional and European classic designs with a wide range of colours and a very oriental feel. They are easy to clean with fast colours as well as a non-shedding, machine-knotted pile. Consider this to be the little rug sister or rug brother to our classic Chevron design, pretty please? Only because it’s been updated a bit with some bright and bold colour schemes; which also kind of sort of guarantees that it has one pretty big and bold blocked style statement to make, as you can see; and being hand-loomed in the flat-weave construction just means the pattern scales up with the size, most easily. So adopt and customize it today, please? This budget collection has a wide variety of designs, colours and sizes with very affordable prices. Included in this collection are modern, classic and traditional designs in all the popular colours, as well as picture rugs for walls and floors. This collection is easy to maintain with fast colours and a machine-knotted, non-shedding pile. Handmade flat weave rug, a range of beautifully designed flat weaves in a stunning color palette. Hand woven from wool each rug has its own personality and is versatile and easy to use.